What would be the first thing you would do if money was no object? Would you continue to live modestly, would you buy a nice house, or would you sail the Seven Seas aboard a Titanic-sized yacht made from solid gold that has an onboard laser defense system and a petting zoo? 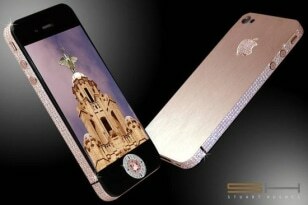 If you'd head for the yacht, the following gadgets are for you. 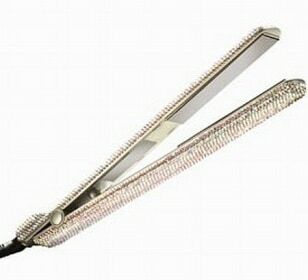 This Linea Pro Flatiron features 2543 genuine, hand applied Swarovski crystals and comes with a certificate of authenticity and a plaque from the Swarovski factory in London to prove it. 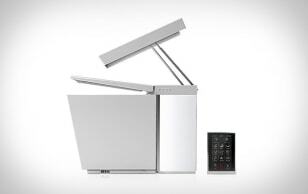 This $6400 toilet features a built-in music system, ambient lighting, touchscreen remote, motion-activated lid and seat, retracting bidet, air dryer, air deodorizer, heated seat, floor vents to keep your feet warm and customizable options for every family member in your home. 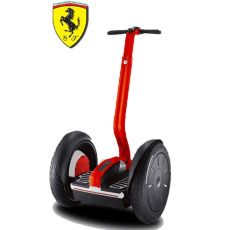 This Segway i2 doesn't appear to be any different from the stock version, save for a red paint job, Ferrari logo, leather handlebar bag and a $10,200 price tag. 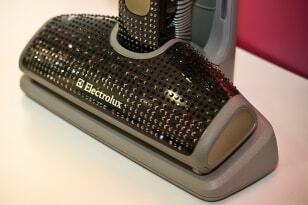 This Electrolux vacuum cleaner is encrusted with 3730 Swarovski crystals and is priced at $23,000. 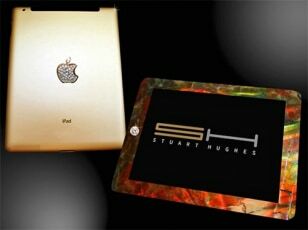 This 24-carat gold Kindle costs $1965. 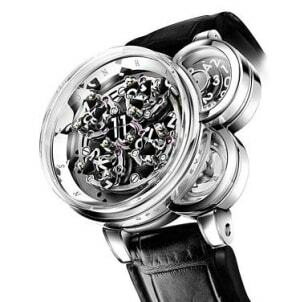 The Harry Winston Opus Eleven watch features three cylinders that 'deconstruct' time and reassemble it on every hour using a complex set of gears. 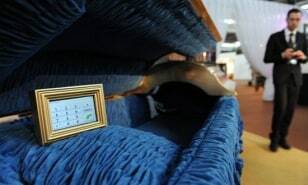 This gold plated coffin comes with a golden cell phone display — you simply can't put a price on the peace of mind that comes with knowing you won't be buried alive. 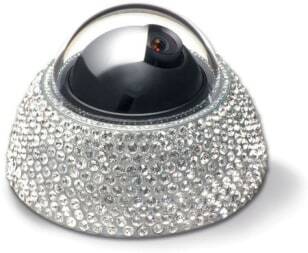 What better way to deter thieves than to encase your surveillance camera in 600 Swarovski crystals, like this one from Dalleier Electronics?